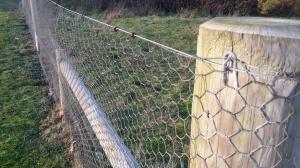 31mm hexagonal holes, galvanised steel mesh makes the recommended rabbit netting fencing. 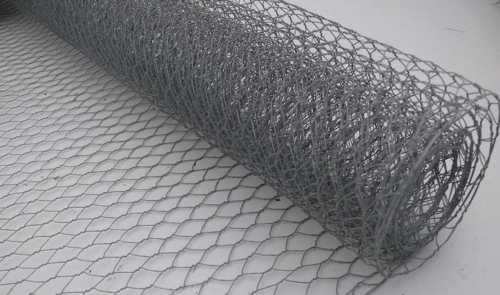 Rabbit protection netting is made from steel wire that is galvanised before weaving and is approximately <1mm thickness diameter wire. 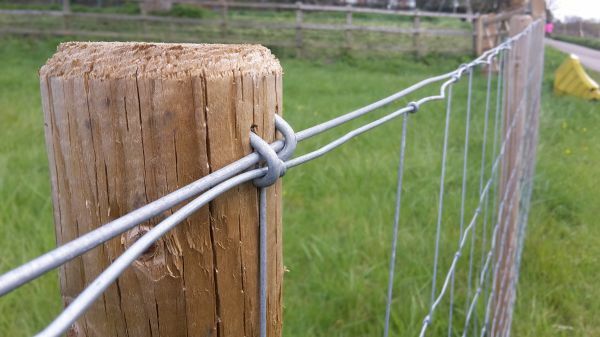 We recommend that rabbit netting is installed by fixing to treated timber fencing posts at a minimum 2.5m interval. 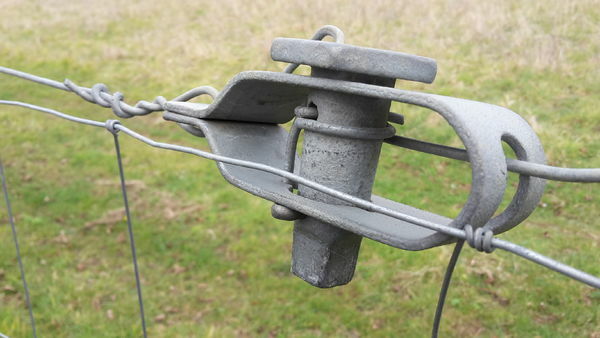 A galvanised fencing line wire (2mm or 2.5mm dia.) 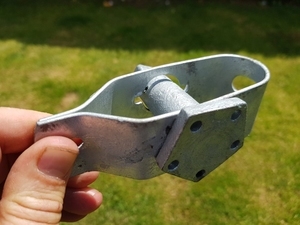 should be used to keep the top and bottom of the fencing taut and tight and protecting the mesh be crumpled by any impact. 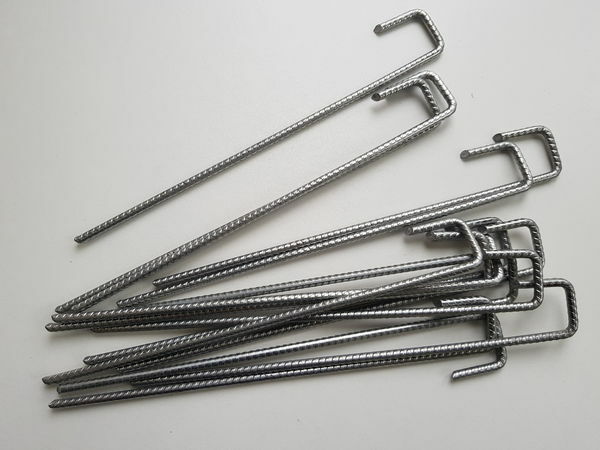 The galvanised wire netting should be fixed the the galvanised line wire using hog-rings supplied with a hog-ring pliers. 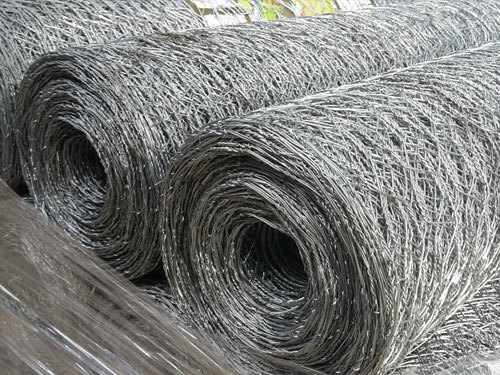 The bottom 150mm of mesh should be bent at right angles (L-shape) in the direction of the potential browsing animals and buried about 50mm below the soil or turf. 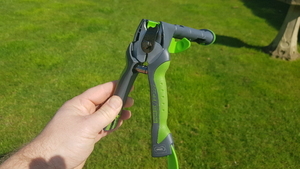 This will stop rabbits digging underneath the fencing. 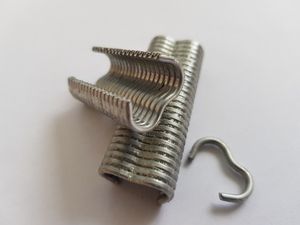 The 31mm mesh fencing can also be used for garden fencing, pet and animal fencing, chicken runs and cages, aviaries and crop and vegetable protection against birds. 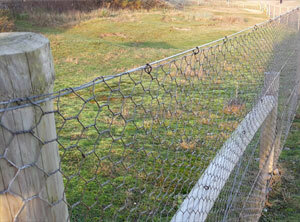 We stock 31mm rabbit fencing on 90cm, 1.05m, 1.2m and 1.8m wide rolls. 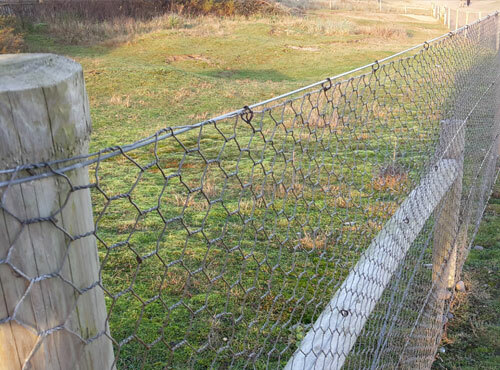 Our BS standard rabbit netting is available in the 1.2m wide rolls with an 18 gauge steel wire which makes a stronger more robust rabbit protection fence. Please browse for details.